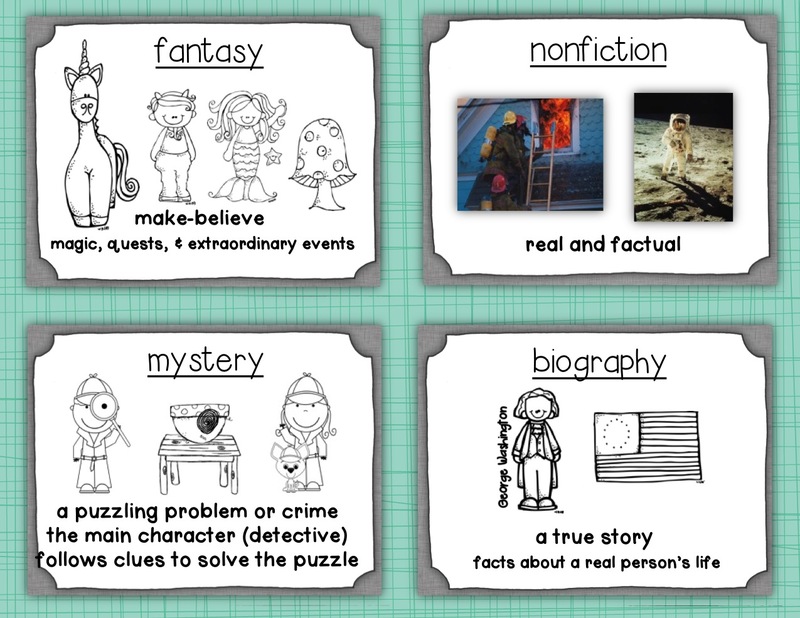 First of all my name is Kristy and and I blog over at the Phonics Phenomenon. Here are ten facts about me so you can get to know me speedy quick!! 3. I have taught intervention for 13 years K-5. 4. I was a late bloomer:) The book Leo the Late Bloomer could have been written about me. Several years out of high school then everything clicked for me. Maybe that is why I understand at risk kiddos so well. 7. My husband and I finally went to the darkside and got a Toyota Sienna this winter. I always said I would never own a mini van but I totally love it. 8. I am Wilson trained and have a ton of phonics knowledge bouncing around in my brain. It is pretty funny because I was taught NO phonics as a child. Everything I know I learned as an adult. 9. One of my favorite places is Charleston, South Carolina. Historic and the beach all rolled into one. Right now I am in full classroom organization mode! I have moved rooms two years in a row so I feel lucky to be staying put this year! One thing I struggle with is remembering what books I have for all of my intervention groups so I have been trying out the app ibookshelf and so far so good. One hundred down and not even sure how many hundreds left to go.......hmmm I many have forgotten to mention that I have a total book addiction! Here is a peek at what the app looks like. One of the things my new app does is sort books according to a genre. 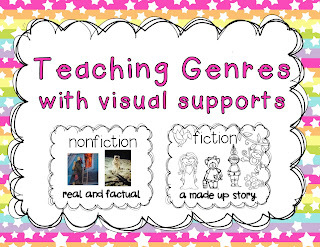 As an interventionist, I have been trying to talk to students about genres as early as kindergarten. I was amazed that kids really can understand and "get it" at such a young age. 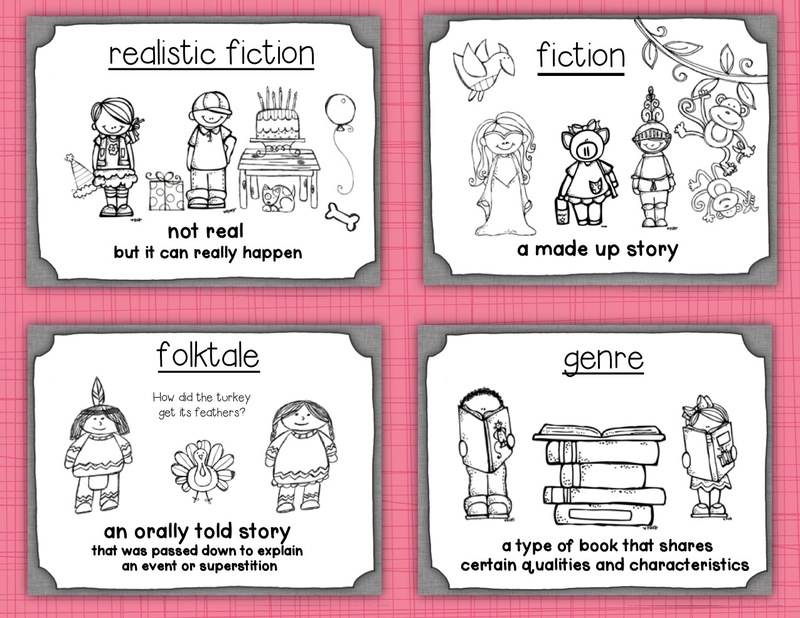 One of the things that I have done to aide in this process is using visual genre cards. I have changed them several times and I think I am finally happy with this version. I can't wait to hear what you think! 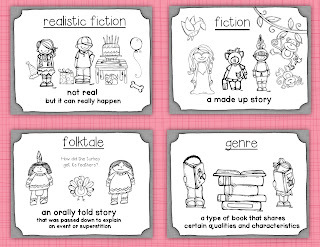 I hope you enjoy this little freebie:) If you would like the full version it is available at my TPT store(the most current version may not be up yet but it soon will be). Make sure you check out PHONICS FRIDAY on my blog the Phonics Phenomenon!! I would love to have you stop by!! I stopped playing Candy Crush long enough to read your post and leave you a comment! Sister, you have a ways to go to catch up with me :) good for you organizing all those books! You can do mine next! Hello and welcome to TBR! I have a question about iBookshelf, is it stored online somewhere so you can access it on multiple devices or only on the one device? This has been on my to do list for a while! 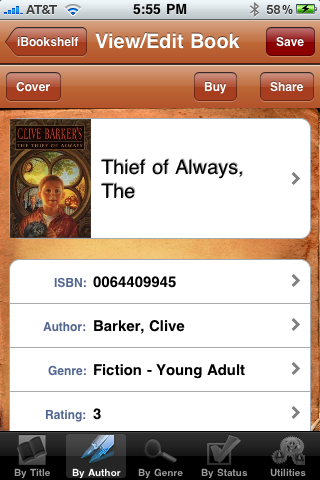 I am intrigued by ibookshelf. Can you scan books or check books out with it as well? thanks! How Lucky It's Finally Friday! End of the Year Tips and a FREEBIE! A Big Hello from Angie at The First Grade Scoop! Happy Teacher Appreciation Week Freebies! Howdy Y'all From Miss V's Busy Bees! Lovable Ladybugs - Math Games! Mother's Day Project with Jars.